Jack McEvoy plays Helgi the Lean in Vikings Season 5 Part 2 streaming now on Amazon Prime. Next up for Jack McEvoy is The Rhythm Section with Blake Lively. Jack McEvoy can currently be seen in Vikings (Helgi the Lean) on RTE 2 Wednesday nights. 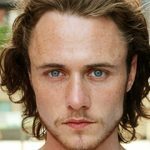 Jack McEvoy has just finished 9 months on the hit series ‘Vikings’. He will next be seen in ‘End of Sentence’. 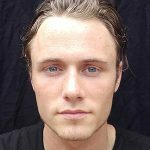 Jack McEvoy is currently shooting ‘Vikings’ Series 5 for the History Channel in Ashford Studios and other locations in County Wicklow until May next year.